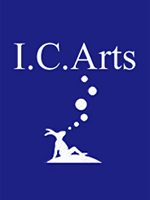 ▲ by icarts | 2011-04-19 11:22 | etc. ▲ by icarts | 2010-10-07 12:09 | etc. ▲ by icarts | 2010-04-12 15:10 | etc. ▲ by icarts | 2010-04-10 00:17 | etc. ▲ by icarts | 2010-03-18 02:40 | etc. ▲ by icarts | 2005-05-27 12:25 | etc. ▲ by icarts | 2005-05-18 23:58 | etc. ▲ by icarts | 2005-03-11 23:15 | etc. ▲ by icarts | 2005-03-10 23:49 | etc. ▲ by icarts | 2004-12-24 22:42 | etc.